Last Updated: March 19, 2019 · Published: January 24, 2017 By: Asian Caucasian 8 Comments This post may contain affiliate links or sponsored content. 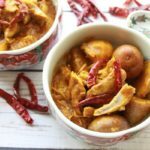 This dish is bursting with flavor from the fragrant curry powder, turmeric powder, and red curry paste! This one-pot dish is super easy to prepare! Just toss in the ingredients and slowly simmer! Heat the coconut oil in a large Dutch oven over medium-high heat. Add the shallots and sauté until starting to brown. Add in the lemongrass and sauté with shallots another 2 minutes. Toss in the baby potatoes and dried chili peppers and stir. Stir the chicken thighs together with the sautéed vegetables. Add in the red curry paste, curry powder, turmeric powder and coat the chicken well. Add in coconut milk and bring to a boil. Cover and simmer for 15-20 minutes until chicken is tender and the potatoes are done. 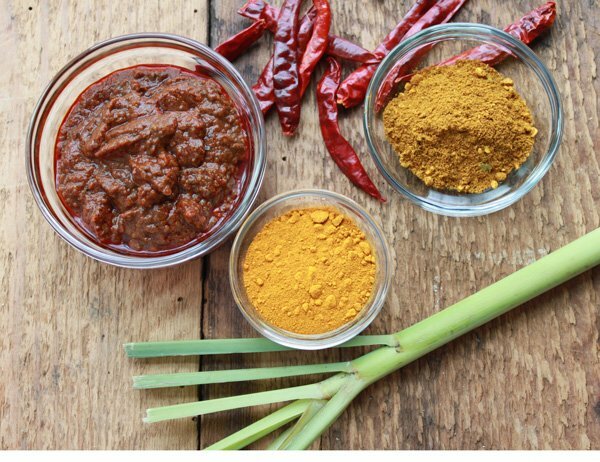 Remove lemongrass stalks and chili peppers before serving. Thanks so much, Carolyn! Hope you try this recipe soon! 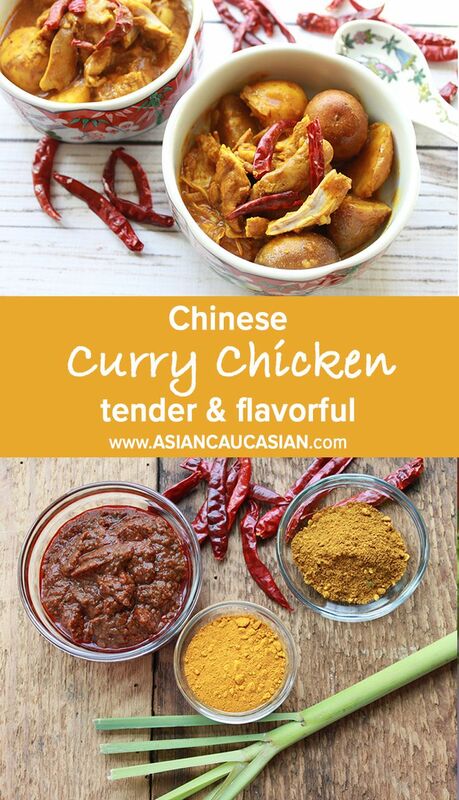 This curry sounds so delicious! Do you love curry as much as I do? It’s so fragrant in this recipe! 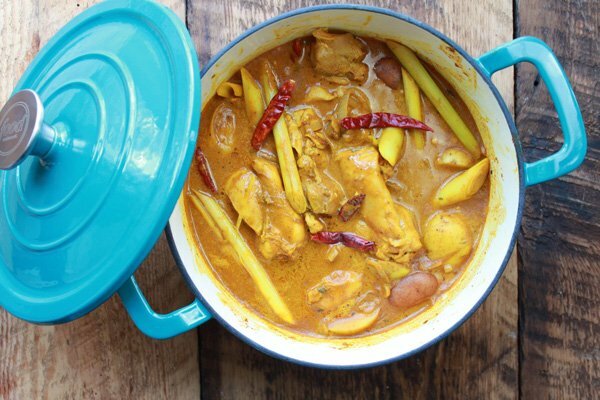 I love one pot meals and curry! Me too! And this one’s a keeper. Perfect dish for the upcoming Chinese New Year! All those flavors sound delicious! Thanks, Lindsay! This is so easy and delish!